In modern time toothpaste companies try to change the formula to make toothpaste without questionable ingredients like fluoride, SLS and other artificial preservatives and flavors. Like you already know many companies fail at that. And I have already reviewed some bad baby toothpaste that was poorly made. But since I got threatened with a lawsuit because I write bad about products that are dangerous I stopped with bad reviews, and I am focusing only on real toothpaste. 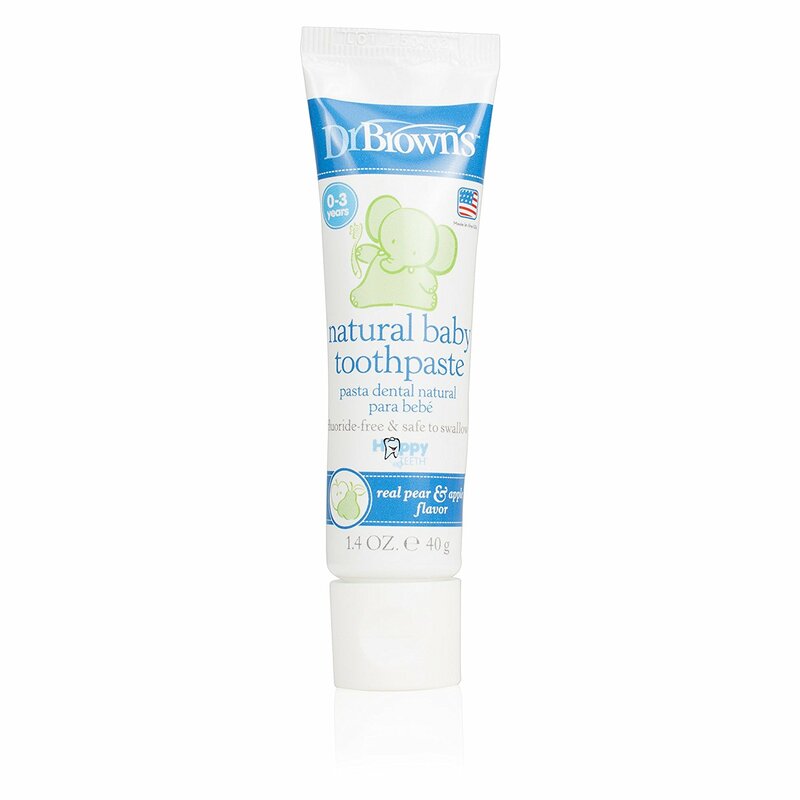 Natural Baby Toothpaste by Dr. Browns is one of those that are made with care for little ones. Toothpaste is for children from 0 to 3 years. But I suggest you don’t force your kid to brush teeth in such an early year. Most probably he doesn’t need to clean his teeth up until five years old. But all depends on what is his diet. If he eats lots of sugar, drinks soda and is eating bad food overall (which is disastrous if your kid eats that), then he needs to brush his teeth and most probably will need fluoride toothpaste or even go to the dentist for fluoride treatment. The reason for this fluoride treatment is a bad diet that ruins your teeth, so you need to decide if you wish to keep your teeth or no. But since you don’t care about your teeth health then I m sure you don’t care about your health overall, and that means you are on the wrong website reading about products that don’t concern you. But Dr. Brown’s toothpaste is made for babies that will use this toothpaste as training for teeth cleaning. Since this toothpaste has zero questionable ingredients, it is safe to swallow. But don’t encourage your baby to eat it. Swallowing any kind of toothpaste is a bad idea because toothpaste is not for eating. Good things about Dr. Browns Toothpaste is a fluoride-free formula. It is safe to swallow. It does not contain any artificial colors or preservatives. It uses real pear and apple flavor. And it is made in the USA. But there are few concerns about this toothpaste. Pectin is one of them. This food additive is used in making jams. But the primary concern is GMO Corn. Is it derived from corn and did a manufacturer use organic corn? Xanthan Gum is another ingredient that I don’t like. Not only it is also derived from Corn that may be GMO, but also Xanthan Gum is food additive that is probably not best to consume. Other ingredients on the list are safe and not problematic. It is good that this toothpaste is fluoride free and don’t have harsh detergents like SLS or other harmful chemicals. But there are still concerns. Laws in the USA are not my best field, so I am not sure if the product needs to be labeled GMO or it is against the law to use GMO ingredients and label it as organic? And to tell you the truth I didn’t find any label or certificate that this toothpaste is organic. So this questions leaves me int he dark, and I don’t really know how to rate this toothpaste. It has some concerns, but overall it looks good.